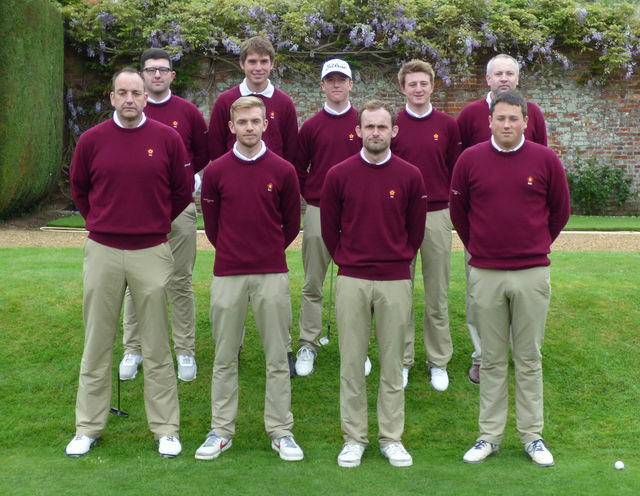 Northants v Suffolk 1st team Anglian League match report. The course was playing quite tough with the rough particularly punishing, but the greens were in excellent condition resulting in plenty of birdies for both sides. As we sat at the 6th green, it was not looking promising as 7 of the 8 matches came through reporting that they were down, however, from then on, things turned in our favour and by the 12th, we could see where we were likely to be making the 4 points needed for victory. With Callum Farr winning 5 holes on the bounce, from 11 to win 5 - 3 and securing 2 points on the day, including a monster 350yard drive and an 8 iron to the par 5 12th, followed by Ben Jones, Matt Myers and Miles Mudge going down 18 1up and all 3 winning 2up to secure the victory, followed by Anchor Paul Godding winning 3-1. Congratulations to Ben, Callum and Paul Godding on winning 2 points each on the day. Altogether, a great performance from the Northamptonshire team, everyone played solid golf and we always looked in control of the match.